Click the image to view an interactive map, showing what has been completed at Point Ruston and what is yet to come as of February 2019. 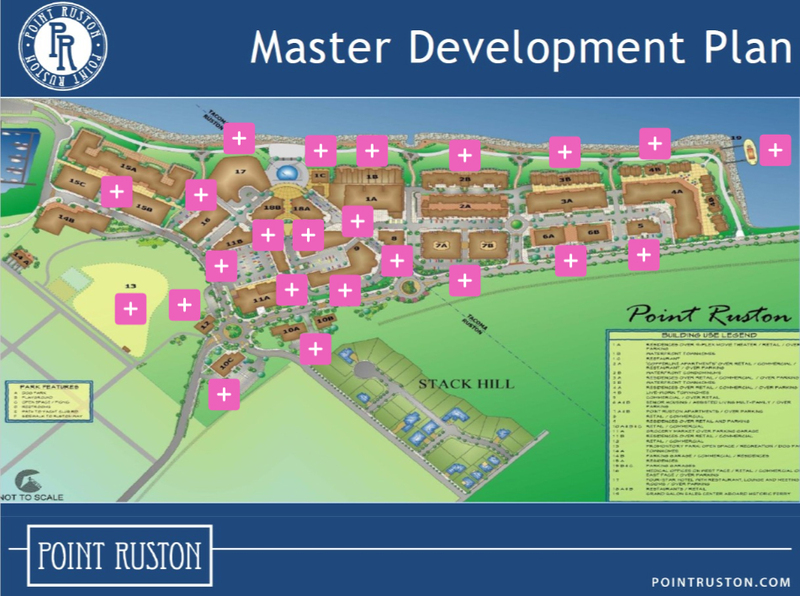 How is development going at Point Ruston? Since the start of the project in 2006, there have been a lot of twists and turns. From conflict with EPA oversite to the potential annexation of Ruston’s half of the development, things seem to be moving relatively smoothly today; with a target end date sometime in 2024. Baker Condominiums were recently completed and the Rainier Condominiums are under construction. If you’re thinking about owning one of these waterfront properties, I would suggest acting quickly because they aren’t going to be available for much longer. One year ago, development at Point Ruston was stuck between the divide of two cities. Tacoma was on the verge of annexing a portion of Ruston in order to keep the project on track. Ruston denied Tacoma’s request to legally annex part of their city, so Tacoma was in the process of exploring another option: changing the state law to annex part of Ruston without their approval. Fortunately, threats of annexation subsided when a mediator was appointed to help craft a neutral solution. Bruce Dammeier, a former Washington State Senator and current Pierce County Executive, helped Tacoma and Ruston to come up with an ILA (interlocal agreement) which allows Tacoma to process all of Ruston’s permits in order to streamline the development process. Since this agreement, there has only been one permit issue, which was resolved quickly. 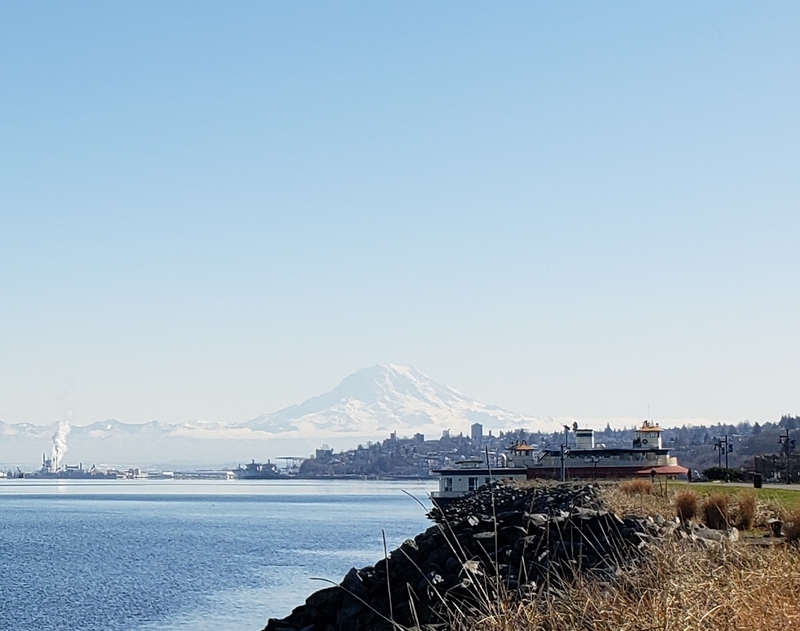 What started as a company town for employees of the ASARCO copper smelting plant in 1890, Ruston is now a quaint city that lies between Tacoma and Commencement Bay with a population of 828 as of 2017. In 1993, the smelting plant was demolished, and the area was declared a Superfund site. Point Ruston is unique because the solution to the contaminated soil problem is the development itself. The new buildings are the caps for the contaminated soil. This gives the EPA ultimate jurisdiction over the development, which is one of the reasons why things got so complicated. For a deeper understanding of how these parties are connected, please watch this Point Ruston Update video; Bruce Hopkins, Mayor of Ruston, gives a very good description/update to the project. Here is a link to download his PowerPoint presentation. With multiple parties involved: EPA, city of Ruston, city of Tacoma and the developers: Point Ruston, LLC, it’s no surprise we have seen a lot of finger pointing. The city of Ruston is vastly smaller than her larger neighbor, Tacoma; yet, the largest privately funded economic investment in Pierce County history is split down the middle between the two. Last year, the EPA was accusing Point Ruston developers for ignoring building codes required for the cleanup of the contaminated soil, The News Tribune. Meanwhile, Ruston was being accused by the developers for being “unwilling and unequipped to handle the major land-use decisions the project requires,” The News Tribune. On the verge of potential annexation, Representative Sherry Appleton recommended that Tacoma and Ruston figure out a solution among themselves. Officials from Ruston and Tacoma, along with Bruce Dammeier, were able to collaborate in the adoption of an interlocal agreement in February 2018. With Tacoma processing Ruston’s permits, development has been able to continue smoothly with less complexity. What is there to do at Point Ruston currently? A lot, and a lot more to come! I recently parked at the Chinese Reconciliation Park (for free) and rode a Lime bike along the waterfront to Point Ruston. If you’re driving there, there are 3 ways to pay for parking: validate your license plate number at any business you make a purchase from, pay at a pay station or by using the Passport Parking Mobile app. I often park and go get a coffee at the Jewel Box Cafe or Anthem Coffee, which gives me 2 hours of “free parking.” If you’re seeing a movie at Century Theater, you will get 5 hours of parking upon validating your license plate number. According to the Point Ruston website, there are 7 open restaurants, one café, one coffee shop, 8 retail shopping stores and plenty of entertainment options both free and paid. Besides Century Theater, in March – October you can rent a variety of specialty bicycles at Wheel Fun Rentals. In the summer, there is a Farmer’s Market and Artisan Market. In the winter there is an Ice Skating Rink. Enjoy beautiful views of the South Sound, Olympic Mountains and Mt. Rainier while walking along the path which will eventually connect to Point Defiance Park. For kid-friendly activities, check out Promenade Playground or the Spray Park in the Grand Plaza. For music, check out the free Summer Concert Series. Here is a current breakdown of the cost to rent and own at Point Ruston. There are currently 6 active condominiums on the market as of February 7, 2019. For more options, check out Rainier Condominiums (currently under construction) to get a leg up on the competition. Thanks for taking the time to stay informed about the development at Point Ruston! If you have any questions or would like to look into purchasing a condominium, please feel free to reach out Stephan Childers or me with Childers Davidson Homes at Keller Williams Tacoma. Namaste.